Susman's has been family owned and operated for nearly 70 years. Susman's was founded in 1939 by Matt Susman just before World War II and is now run by son Robert Susman and brother-in-law Nick Faber. Susman's offers one of the largest in-stock selections of floor covering, carpeting and remnants between Milwaukee and Chicago. We pride ourselves on expert installations and quality material at honest, lower prices. Because of our warehouse, we can buy in quantity and many products are in stock! We have professionals on staff that can speak Spanish, that would be able to assist you. At Susman Linoleum & Rug Company we believe that it should be all about you. Our main goal is to do everything possible to make you satisfied. Susman Linoleum & Rug Company carries a complete line of products from the world's leading manufacturers. Click on the links below to find out more about these products. 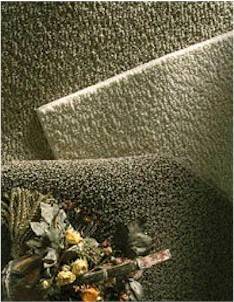 Susman Linoleum & Rug Company has experienced, quality minded professionals in both residential and commercial markets.